"Circle Play" 108" Quilt Backs are perfect for finishing up your next quilt. Additionally, they pair well with any of our Henry Glass lines. This 8-SKU collection offers a variety of hues including warm, cool, and neutral tones. Available IN QUILT SHOPS NOW! Great choices for my quilt backs! Gorgeous fabrics!! Tempting to make a reversible quilt with them!! I love all your backing fabrics. I use them all the time. They are beautiful. That's what I would do with this bundle. Great prints. I love using wide backs on quilts. I would use this for a back. What fabulous fabric for a backing to a quilt! I have an Eagle Scout quilt I am making an this would be perfect! Thank you! Wow! This would be awesome to win! I would finally finish all those quilts that need backings! These would look fabulous cut up into small squares for a patchwork effect for a modern quilt. I'd love to make a quilt for one of my nieces - thanks. What great colors! These would be great for the back of a few tops I having waiting to be quilted. Great colours! I have a quilt for Ronald MacDonald house that needs a back. Wow, those fabrics would make gorgeous quilt backs or borders. I love the bright colors! Wide backings make finishing so easy. And these would make the back so interesting and fun. I could really use some backings. Love the fun, bright colors. Thanks for the chance. What a treat it would be to not have to piece a quilt back. I have a few quilt tops that would go great with those backs! I love wide backing! Piecing a quilt back is the worst. Very pretty fabric. Thanks for the giveaway. Henry Glass fabrics have such a nice hand; I'm sure your backs are just as lovely. Thank you for this opportunity! I would definitely make a quilt with this bundle. Wow what a fabulous prize. I always use a wide back for my quilts, just don't like to piece the back. Thanks for the chance. This would make a fabulous reversible throw quilt for my living room! These are gorgeous. So many things these happy fabrics would make. Beautiful! Thank you for the chance. Since I have several tops made, ready to quilt, I am sure these would be perfect to use on the backs of those. i love these fabrics, in fact, i have the black background one in my stash for a black background quilt i will be making soon. Great fabrics , thanks for the chance . Have used these as fabric for the quilt tops - the colours sing. Love wide back fabric, no worrying about how much fabric to buy and how to piece it. Love these! I'd make a quilt! I am very excited about these wide fabrics. The white background with all the brights could easily work for several of my quilts. Happy! What a great give-away. I will hold my breath and pray. Depending on how big the pieces are, I’d back a doll quilt or baby quilt or make a fancy pieced backing for a larger quilt. I just LOVE these backings! Nice fabrics for backings, thanks for the chance! LOVE the rainbow colors with the white background. Glad you got 'round to it! I'd make a hexi quilt with these fabrics! I'd make a table topper with matching placemats. Great colors in these fabrics! So many projects & I'm in need of more fabric . Wonderful fabrics to aid in the completion of more Paradise Fire quilts. Multi colors are for kids quilts! Blue for my patriotic quilts! I see quilt backings in my future! The top fabric makes me want to hurry and finish the quilt top for my Granddaughter's new bed quilt. These would look great with a number of my quilts I have planned. Beautiful fabrics!! Would love them all!! such fun prints! I would love to make a bag or two. Thanks for the chance to win!! Something bright and cheery! My colors. I would use them for the back of baby quilts. Love the large backs.Wouldn't have any trouble using them in several quilts. Thanks. So many wonderful giveaways and such gorgeous fabrics! Wonderful fabrics. I’d make a big- block quilt! I love these fabrics! I think they would blend with all kinds of different looks. I would probably sprinkle them in with many projects. Any fabric that goes well with Henry Glass fabric designs has to be fabulous. Love these. Plan to use in the future. Aren't they part of the basics group? Loving the bright colors on these. I'd use these as backings on small quilts. I love the rainbow colours! I love 108 backing fabric for my quilts. This fabric is beautiful and fun! I am making several kids quilts for charity. This would be awesome to back them with. I have never used 108" fabric for a quilt backing and would love to try it so would definitely use it for that. This would be a great addition to my quilting fabrics. Love them! Love these colors..would be a great wall hanging. Would love this to be a quilt. Love these fabrics. Oh my goodness! I need backs for the scrappy quilts I've been working on...have 5 waiting. These look fantastic! HOW DO I ENTER to win the Backing Fabric. I LOVE Circle Play. Fabulous looking bundle. Great giveaway. This fabric is beautiful! I would use them to back a king sized quilt that I am currently working on. Thanks! I would make some project bags for my knitting friends. Circle play is one of my favorites for backing fabrics because of all the color! Wonderful for quilt backs! Thank you. Lovely fabrics that would be great first many projects. Beautiful bundle. Thanks for the chances. I would make various sizes of zippered bags. THis would be a perfect fabric choice to finish a quilt. For my grand daughter. This fabric would be fabulous to back a baby quilt with. Love a bundle with a bow. This would help out my donation sewing. Wow - I really need backs for a couple of UFOs tops!!! I love the bright colors! I would make a quilt with this outstanding bundle! I have some quilt tops that these would make great backings for! They are throws so it'd be fun to experiment. Also, I think they would make really cool tote bags! I would use these beauties in a quilt! Wow! I can think of several projects for using these! Thanks for a chance to win. I love this bundle! I’d love to win. Keep making great fabrics. Very nice line of fabrics. Beautiful colors and I’m very curious about 108” widths. 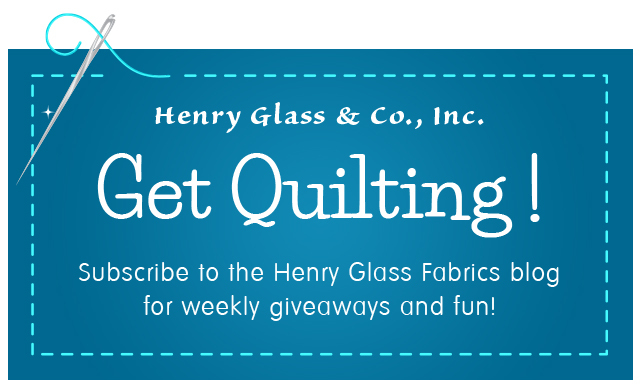 I have a couple of quilt tips just waiting for one of these backings --- hope the winner is me! Love this line, it would be in a quilt for sure! I would use these gorgeous fabrics as backings for my quilts. Thank you for the chance. I would make some cosmetic pouches with this delightful fabric! Thanks for the chance to win! Get Quilting- Apple Festival Bundle Giveaway!